Exploring every team's QB status: Who's set under center? Who needs help? Published: Aug. 17, 2018 at 08:12 p.m. Published: Aug. 11, 2016 at 08:09 p.m. Published: Aug. 11, 2016 at 07:51 p.m. 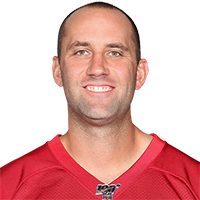 Falcons Matt Schaub hits Aldrick Robinson deep for a 47-yard gain.